What is all this juice and all this joy?" Each year, spring's special magic renews the human spirit on a cellular level - no one, no matter their origin, habitual proclivities, religion, or state of being, can escape it. The pieces included in this exhibition celebrate the spiritual nourishment - all of the juice and joy - that comes from living in right-relationship with nature. DAYSPRING is a meditation of color and pattern, which captures spring's transitional spark. Each of these landscapes began as a photo taken by the artist in the spring of 2016 while driving through New Mexico, Arizona, Nevada, and California. 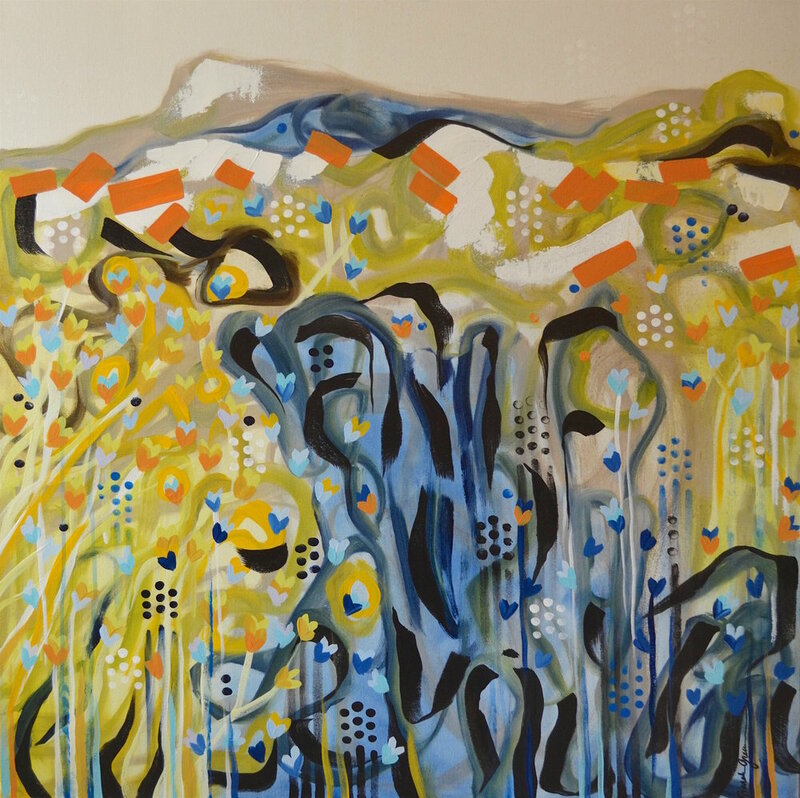 They are ‘spring’ paintings - each expressed by our nation’s deserts, fertile valleys, and central California coastline. Inhale the smell of wet earth and listen deeply for what Hopkins calls "A strain of the earth’s sweet being in the beginning." Heaven is not in the hereafter. Heaven is HERE and NOW. Walk softly.